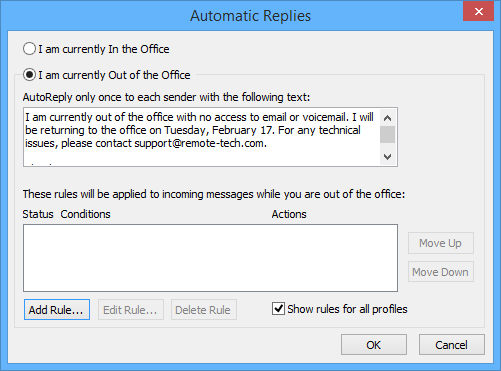 When you are going to be out of the office for an extended period of time, you may wish to set up an Automatic Reply or Out of Office message to be automatically sent to anyone who emails you. 1. 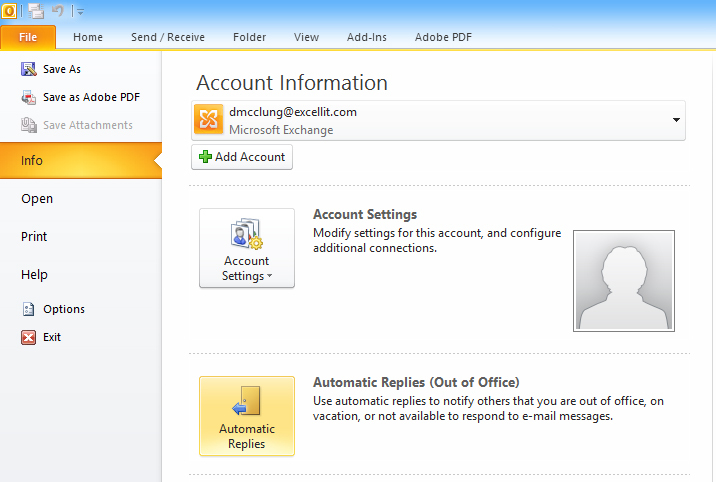 In Outlook 2010, click on File, and under the Info tab, click on the Automatic Replies (Out of Office) button. 2. In the popup window you can write your personalized message that will automatically be sent while the Automatic Reply is active. 3. To activate the message, select I am currently Out of the Office and click OK. To turn it off, select I am currently In the Office and click OK.